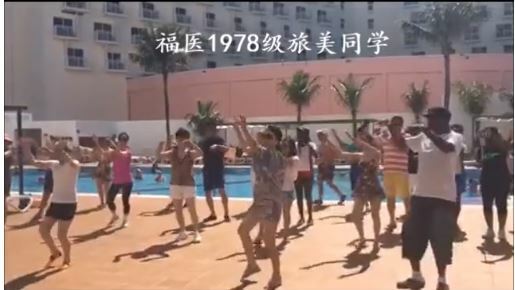 During our reunion gathering at the Paradise Island, the Bahamas, June 2018, we danced to a popular dance music called Xiao Ping Guo. Dance: FJMU class of 1983 (78ji) U.S. classmates plus. Recorded on 6/28/2018.